It's been a while since I've seen a novel set on the moon. It's almost as if, after mankind has set foot on our nearest space rock, the moon has lost some of its magic and allure. Luna: New Moon sets out to show us the moon in a different light. Set in a not-too-far future, the moon has become a resource, the permanent home to hardy settlers and the new frontier. There has been a moon-rush, the way there have been gold rushes, coal rushes, oil rushes in the past. Frontiers can be lawless places. There is a reason the West used to be Wild. There is a roughness in places that are frontiers today: the Arctic, the great mining and logging areas of Latin America, the oil industry onshore and offshore... robber barons, speculators and entrepreneurs all have exactly the sort of energetic, ruthless hunger that Ian McDonald has found so fascinating in the novels he set in developing nations of the future. The moon is no different, except the power that run the moon - the Lunar Development Corporation (reminiscent of the East India Company or the Hudson Bay Company and other colonial corporations) - formalised the ruthlessness into a unique legal system. The only law is contract law. Everything can be negotiated. Every atrocity can be paid off with compensation, if there is someone left to make a claim. 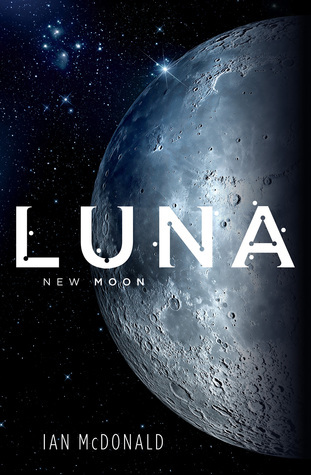 I've been eagerly awaiting Luna since I first heard about it, at LonCon last year. Ian McDonald is a brilliant writer, and seeing the moon through his eyes promised to be an exquisite pleasure. I was not disappointed. At first, the character list at the start of the book scared me: so many people. so many names, so many relationships to remember (and so many unfamiliar terms: what is an 'oko' to another person, I wondered). Needless to say, I forgot them all and started reading. Fortunately, the book flows so organically that it's perfectly accessible even without the list at the start. The story starts with aplomb: a 'moon run': naked teenagers leap out of an air lock and sprint through the vacuum in ten seconds, to another air lock and safety. It's a coming of age rite, dramatic, dangerous and heart-stoppingly tense. The pace never really lets up. Soon, the viewpoint shifts to Marina Calzaghe, someone at the very bottom of the pecking order, a Jo Moonbeam, a new arrival who lost her job and is near the end of her tether: her accounts for air, water, food and bandwidth are all perilously low. You can survive without food for a while, and even water can be scavenged, but without bandwidth, you have no means to find a job, no chance to escape from poverty, and your ultimate death would be inevitable as all your accounts would run out. There are five dynasties on the moon. Australian metal & rare earth miners. Ghanaian traders. Russian space transport tycoons. Chinese high tech / IT magnates. And, newest of all, Brazilian upstarts, the Corta-Helio family: Helium miners. Marina Calzaghe catches a lucky break and gets to be a one-off waitress at a Corta party. After that, much of the novel tells the tale of the Cortas - their matriarch's rise to wealth and power, their traditions and struggles, and the inter and intra-dynastic squabbles. The moon is brought to life beautifully. People live in underground caves or on giant moving platforms perpetually cruising around the moon's equator on rails. The currrencies feel right and convincing. The dynasties and family politics are cut-throat, as they should be on a frontier. Everything about this moon is interesting, visceral and so very very alive. It's not at all a dead rock, but a buzzing frontier. Ian McDonald is a virtuoso with prose. Luna might have some of the dynastic feudalism and tribalism that Song of Ice and Fire has made so very fashionable of late, but it's told in prose that flows and sings and dances on the page. 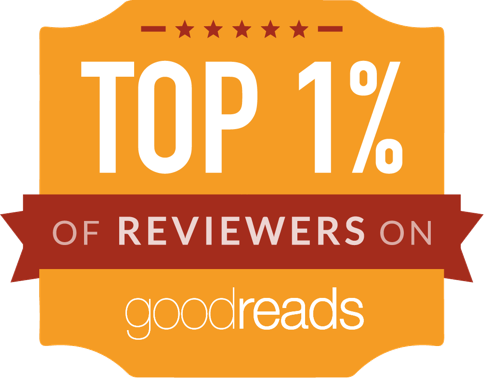 It's seductive and mesmerising - a beautiful book to read. If Luna has a flaw, it's that it's the start of something - a duology, a trilogy, a series: I don't know. It's a great, engaging and thrilling read, with some stunning set pieces, tension, great prose, but it does not feel as if its story has ended. It leaves me wanting more. I can't wait to find out what comes next. Highly recommended.